Thousands of people were present at the funeral held on Friday 22nd March 1912 at Bedford Cemetery, of Mr Augustus Hill, Chief Officer, and one of the founders of the Bedford Fire Brigade, Secretary of the National Fire Brigades’ Union, and one of the most popular and worthy public servants of the Town. 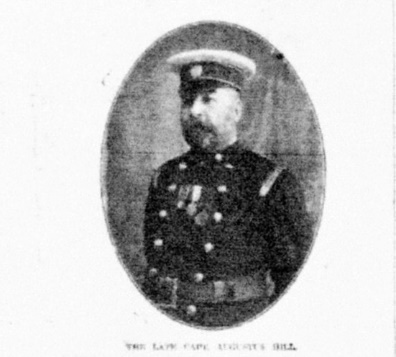 Augustus Hill was born in Bedford in 1850, and in his teens, gave attention to the fire service work. 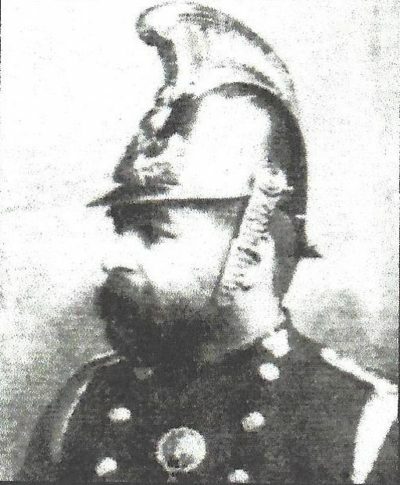 He served with the Bedford organisation for forty-two years since its foundation in 1870 and had been Captain during the twenty-three years since 1889. 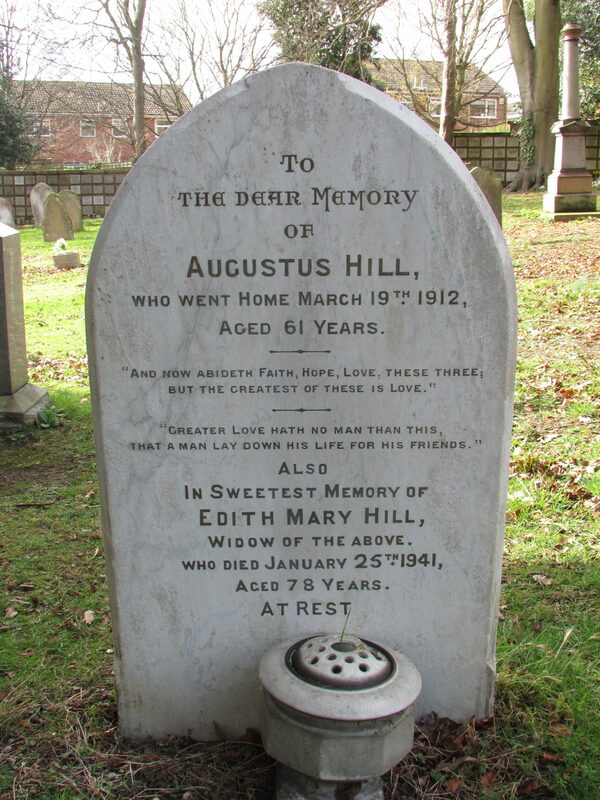 He died on 19th March 1912 aged sixty-two-years, after a sudden seizure. He had seen the brigade develop from the days of the ‘manual’ to those of the steam fire engine. The first engine was presented to the Bedford firemen by the Duke of Bedford. 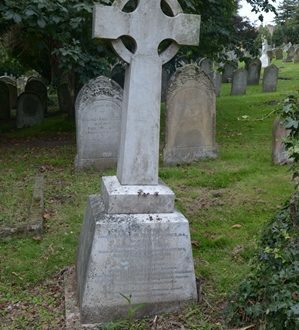 He was one of the pioneers of the National Fire Brigades’ Union. For some years, he was Hon. Secretary of the South Midlands branch at that Union. Mr. Hill had attended a great fireman’s fete in Paris in 1911 and was afterwards presented with a plaque, sho wing in relief firemen at work. Apart from his connection with the Fire Brigade, which was a volunteer organisation, Mr. Hill figured prominently in the life of Bedford. 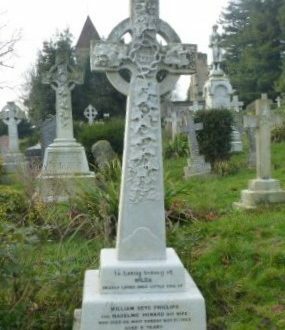 He was joint proprietor with his brother, Mr. Rowland Hill, of the ‘Bedfordshire Mercury’ of which his father was Editor for many years. 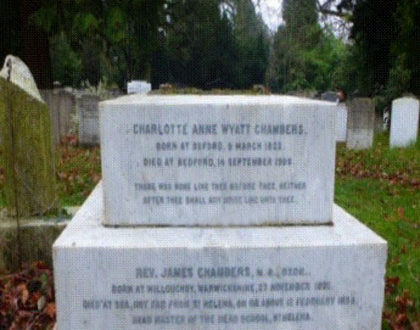 He also carried on business as a shipping agent and was also keenly interested in Hospital affairs. 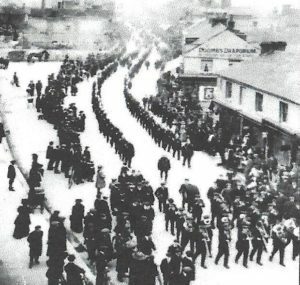 The route from Mr. Hill’s home in Rutland Road to St Pauls Church, where the first part of the funeral service took place, was lined by many people. Blinds were drawn everywhere and shops closed. At the head of the procession rode a detachment of mounted police, followed by fire service deputations from far and near, the late officer being widely known and respected in England and abroad. In Midland Road, the funeral procession passed the scene of the last fire at Longhurst & Skinner at which Captain Hill was in command. This was in January when he was injured about the hands and face. 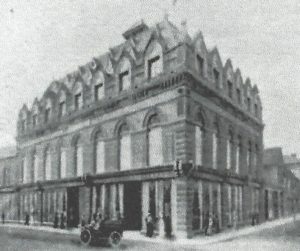 At about 3.00 a.m. on January 11th 1912 a fire had broken out in the rug department on the first floor of Longhurst & Skinners, the building burnt to the ground. 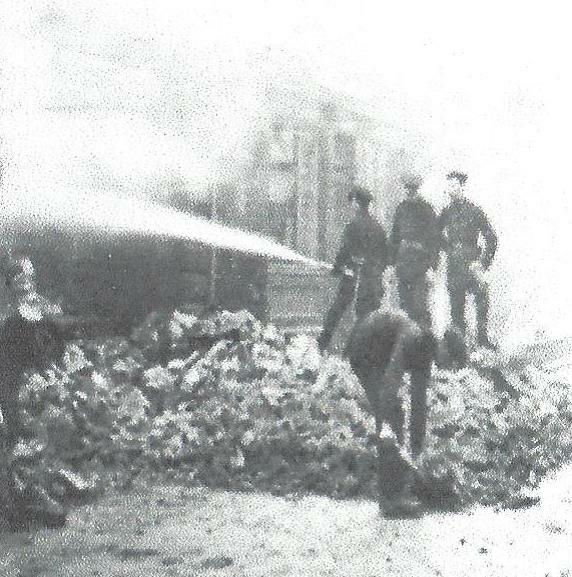 Four firemen received burns and Brigadier Burton was unconscious from the smoke for a time. The third picture above shows ‘damping down’ in progress later that morning. The photograph on the left is the last photo taken of Augustus Hill. 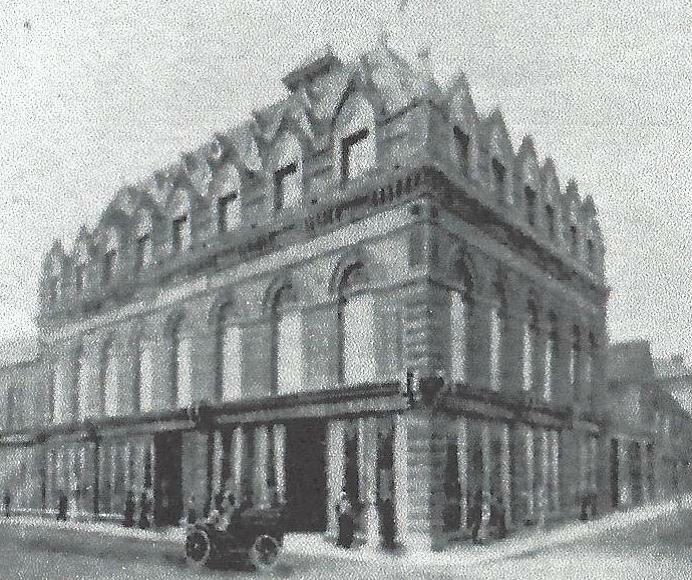 It was taken by Bedford’s well-known photographer of the time Donald Lindley. Sadly, the clarity is poor, which is perhaps understandable after a hundred plus years. 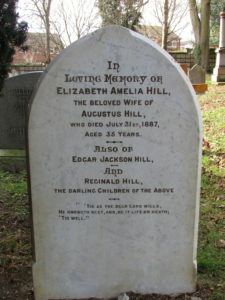 Captain Augustus Hill was during his life a member of the Bedford Cemetery Burial Board. 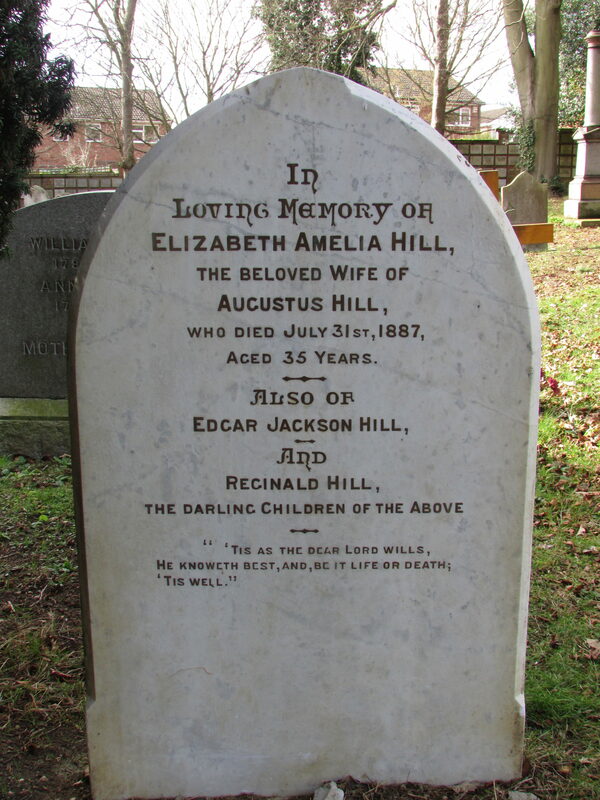 Another interesting fact is that Donald Lindley the photographer who took the photograph of Captain Augustus Hill, and who attended the funeral, was the great uncle of Malcolm Ayres a current member of the Friends of Bedford Cemetery.